Other magicians in Doylestown don’t perform family friendly magic shows. So please make sure the magician you are interested in has the flexibility to perform for kids and adults. Eddy has been entertaining family audiences for over 10 years. Magicians in Doylestown should provide you with the necessary information when you inquire about their services. Make sure to ask the magicians in Doylestown for a full list of testimonials. 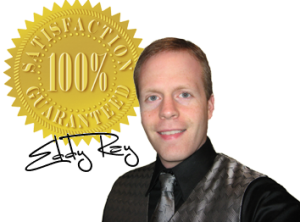 Read through their testimonials to see what others think of their magic shows and service. If the magician in Doylestown cannot provide testimonials that means they are not serious about what they do and you should move on. Eddy makes all of this information easy to access on this website and others. If there are any questions you may have feel free to contact Eddy at 1-877-297-7252. This magician in Doylestown can provide free information regarding your event and a price quote, there is no obligation. Don’t delay, contact Eddy now. 1) This magician in Doylestown, Eddy Ray is known for making playing cards appear effortlessly at his fingertips! This amazing sleight of hand magic takes a skilled performer years to master. 2) Eddy Ray also performs his amazing challenge rope escape. This escape allows volunteers to tie him up with over 50 feet of rope! Eddy is one of the few Doylestown magicians who performs a challenge rope escape. This escape is usually performed by Eddy for scout shows, schools, and family nights. 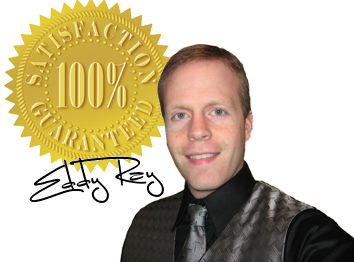 Doylestown magician Eddy Ray performs many different types of magic shows and can customize a show for your event!